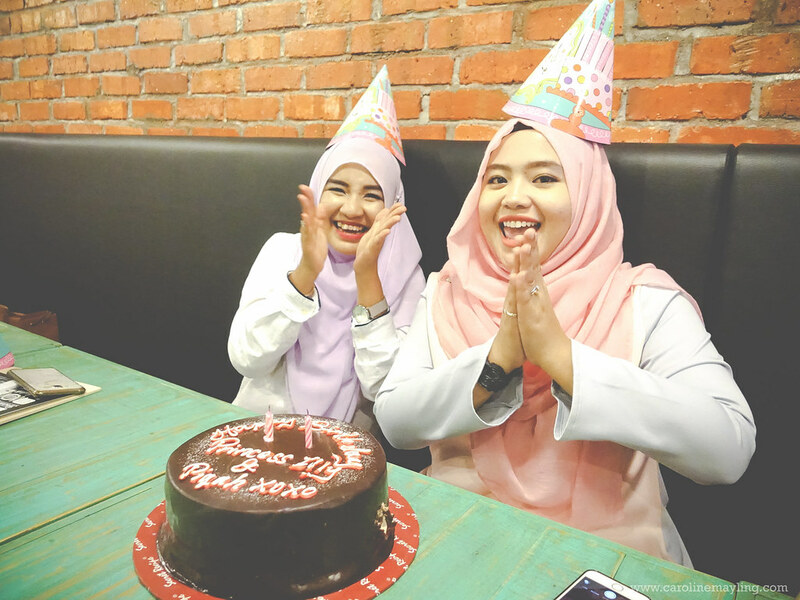 Planning and throwing a perfect birthday surprise aren't easy especially when it involves a huge number of pax. Now before I start telling you about the birthday surprise planning and so on, let me briefly introduce fellow sweeties aka #AjlaaGeGirls. Some of us may have met each other at the events while the rest were all properly introduced during our staycation at Ajlaa Village back then. I may seem the odd one here, but the girls are all very kind and sweet to me, it's like a sisterhood for us. 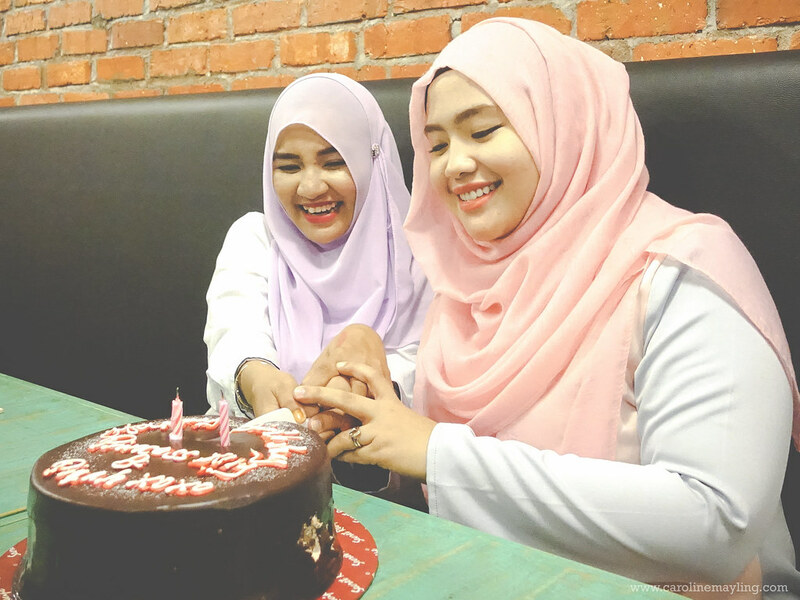 We talked, we joked, we laughed, doing silly things with each other whilst we are together, that pretty much explain our bonding session. Was it a smooth one? Not really. Was it a success? I would say yes! 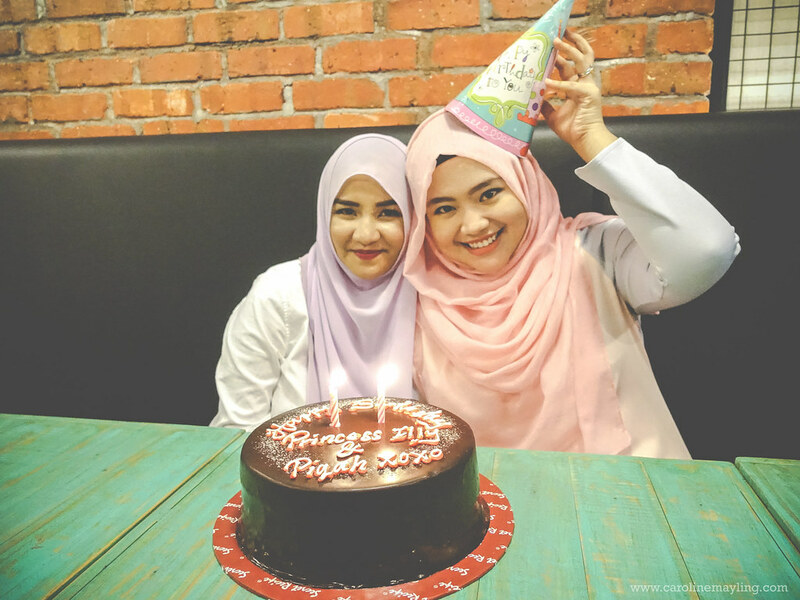 Illy was the only one who doesn't know what's the real plan and since it's a ritual for the three of us (Ayna and I) to celebrate each other special day, she didn't suspect anything. 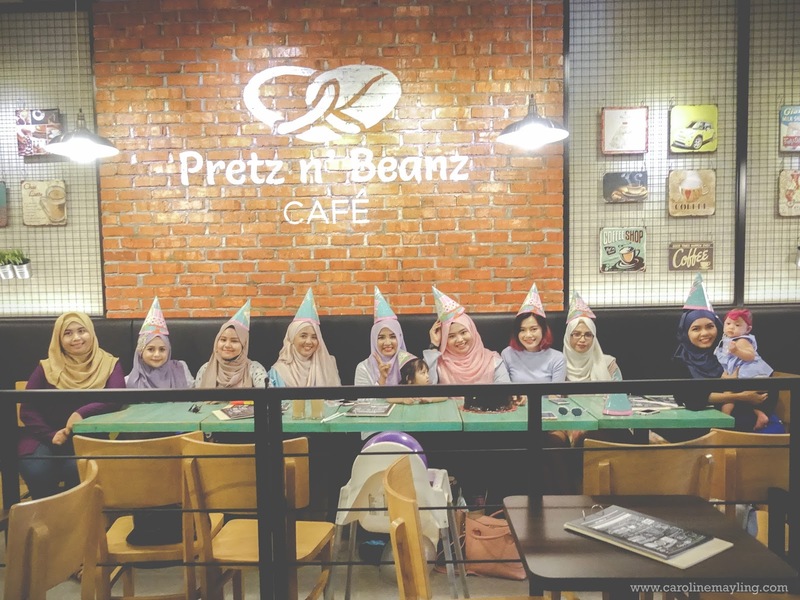 What comes next was rather unexpected - as we had to make sure everyone standby there before we bring Illy to enter the restaurant, we ended up pretending as though we lost our way to the venue (Pretz n' Beanz, Bangsar) and of course, putting the blame on Waze. 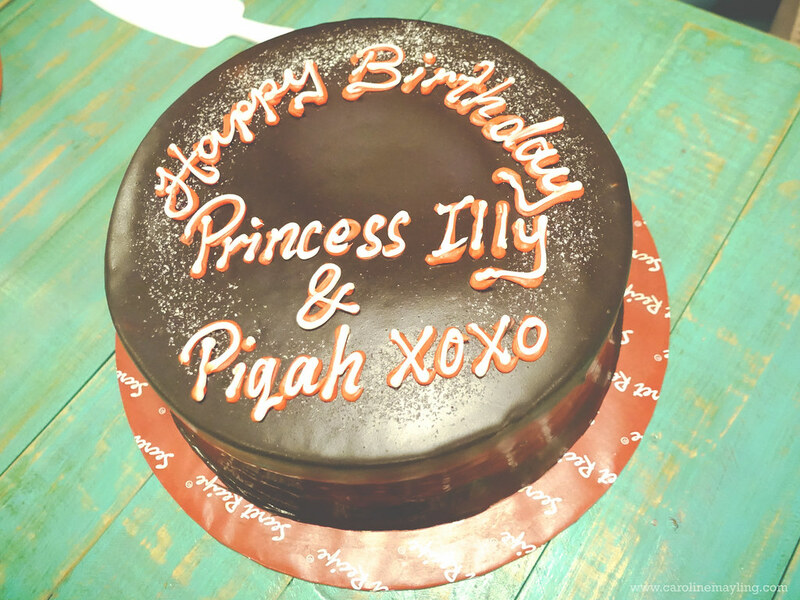 Thank goodness after the few hiccups, Illy was still surprised to see everyone there waiting for her! 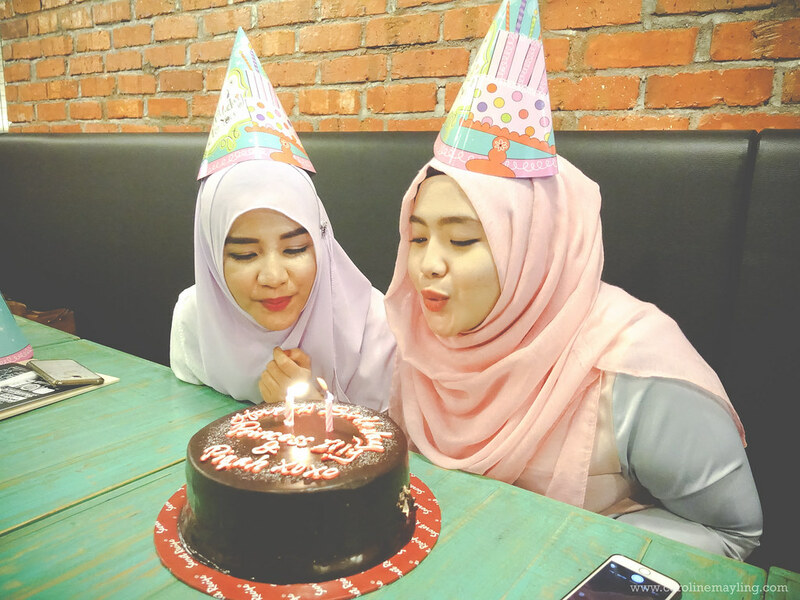 Trust me, you have no idea how long does it take to finally start singing the birthday song, blowing the candle and cake cutting session. Just imagine this, we only meet each other probably once a month and there's really a lot to catch up. The never ending conversations between girls. And yes, the process of ordering the drinks and foods with this amount of pax - madness! It was our first time trying the food at Pretz n' Beanz, except Pika. We ended up letting her order everything for us to share amongst each other. 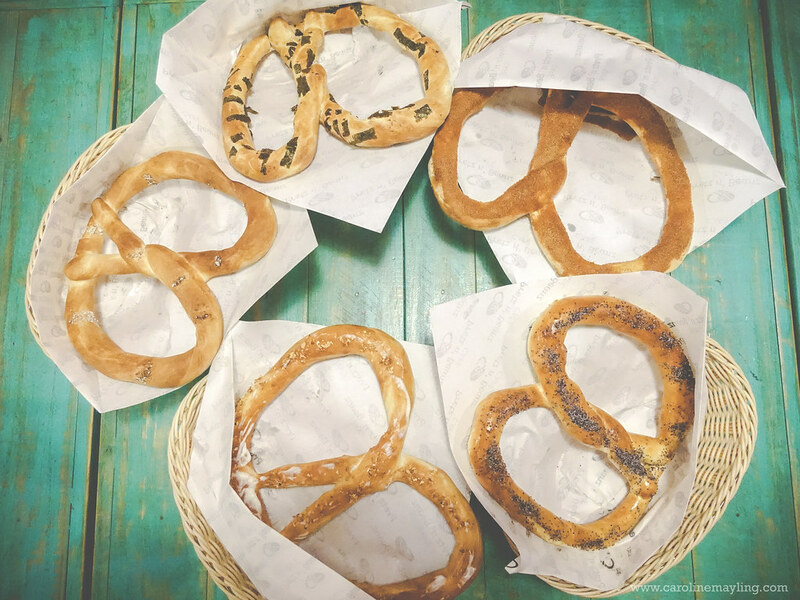 They have various flavors for their pretzels and we had some of them other than the plain one - Sesame Sugar Pretzel (RM6.90), Cinnamon Sugar Pretzel (RM6.90), Parmesan Cheese Pretzel (RM8.05) and Basil Cheese Pretzel (RM8.05). My personal favorite would be the cinnamon sugar pretzel! 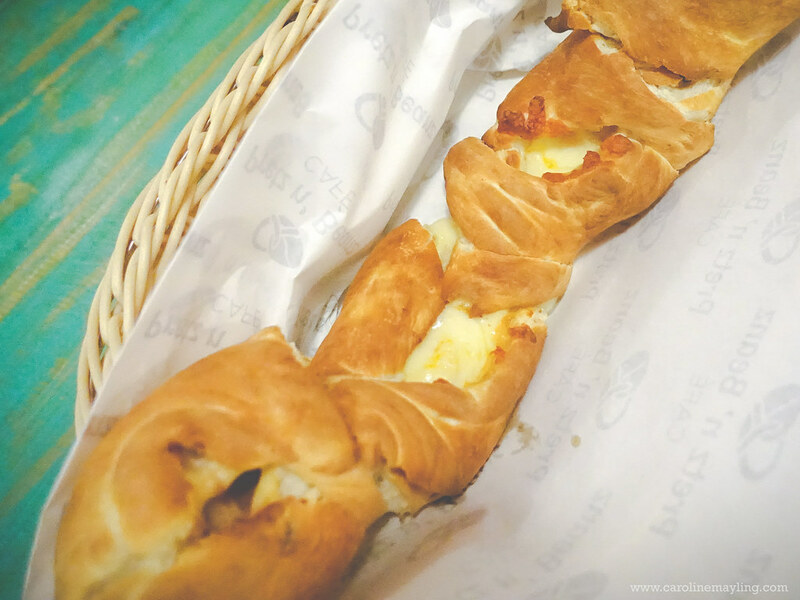 The Filled Pretzel with Sweet Potatoes (RM11.55) is interesting and tasted not bad at all. 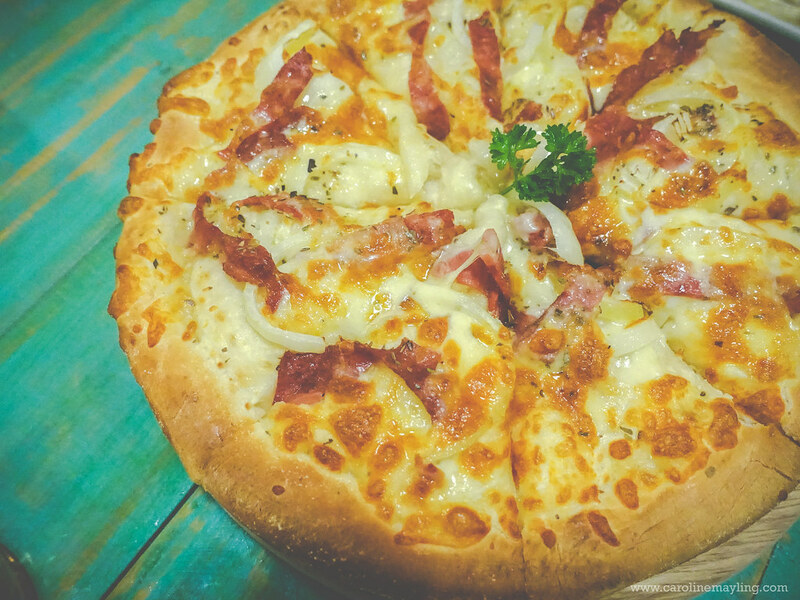 Pretz n' Beanz serves various selection of pizzas too! 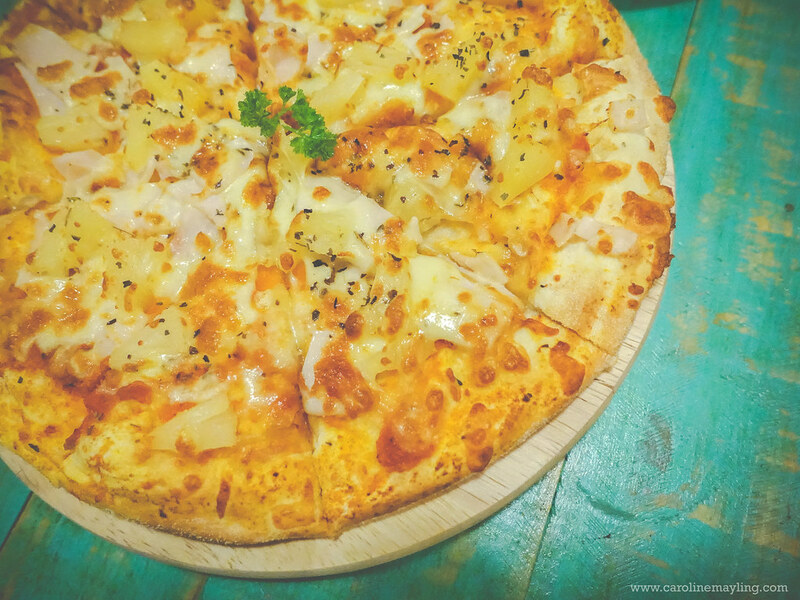 Pika ordered the regular size pizza of Chicken Hawaiian Pizza (RM24.50) and Pepperoni Beef Pizza (RM26.50). 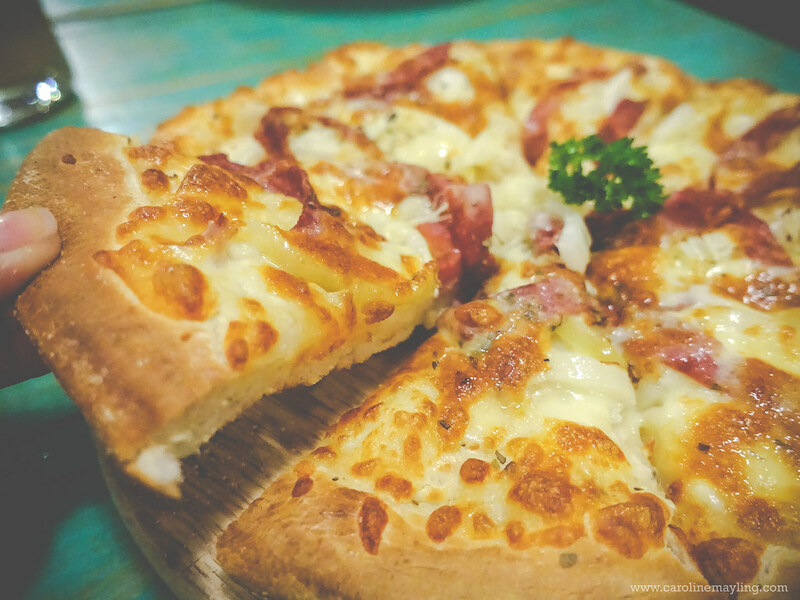 I personally prefer the thin crust pizza, but the pizzas here are surprisingly good! 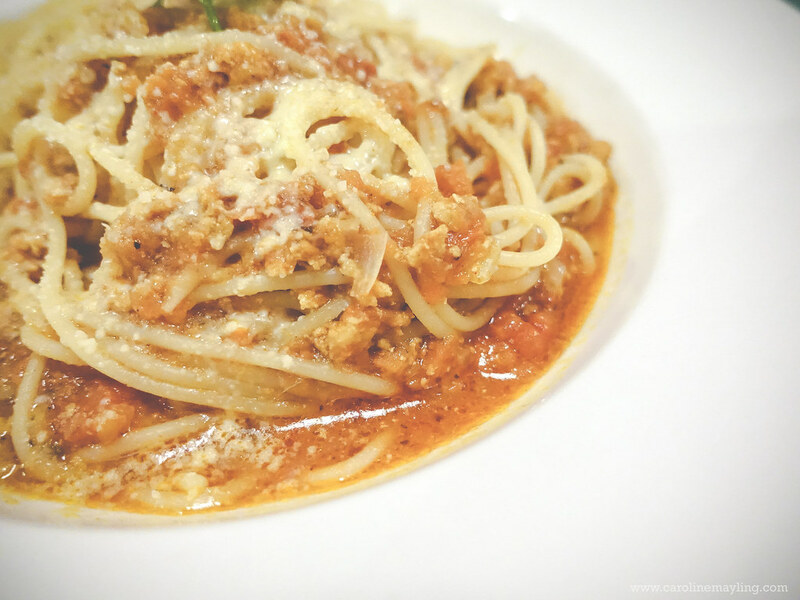 They were soft and topped with generous amount of ingredient toppings too! In case you're looking for something for filling to the tummy, check out the menu under the "Breakfast" section. 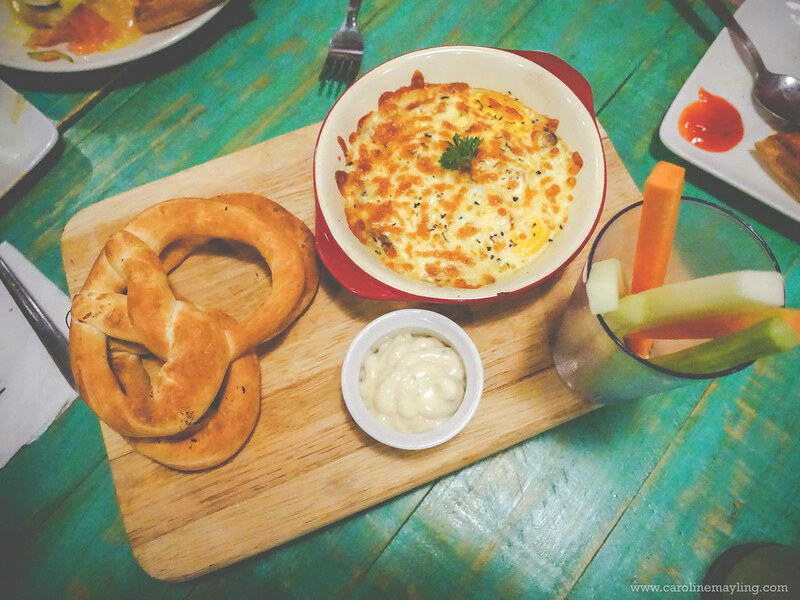 The girls were so in love with the Champignon Baked Egg (RM18). The eggs were baked with chili, minced chicken, tomatoes and beans served with the plain pretzels. Of course, the Continental Breakfast (RM22.50) here resembles the good ol' big breakfast with my favorite thick toast, scrambled eggs, hash browns, sausage, ham and beef briskets. 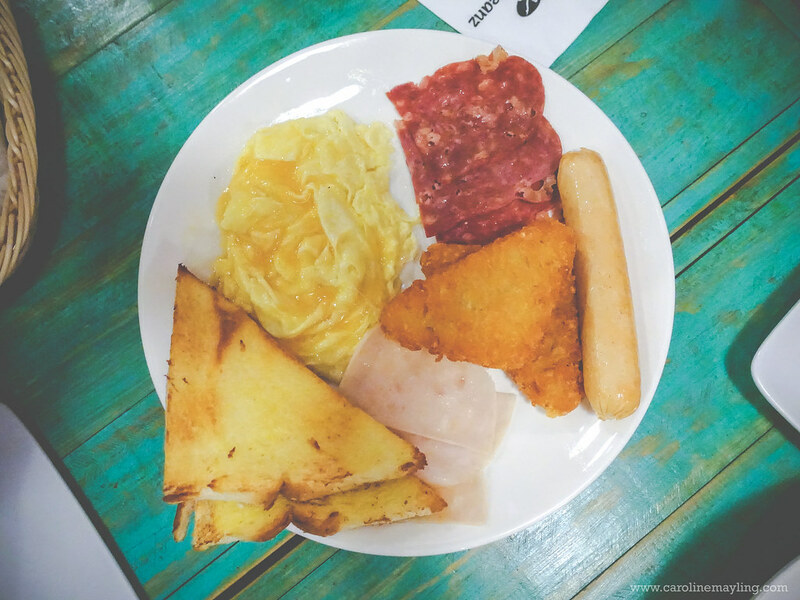 At here, you are able to customize your kind of big breakfast according to your liking! 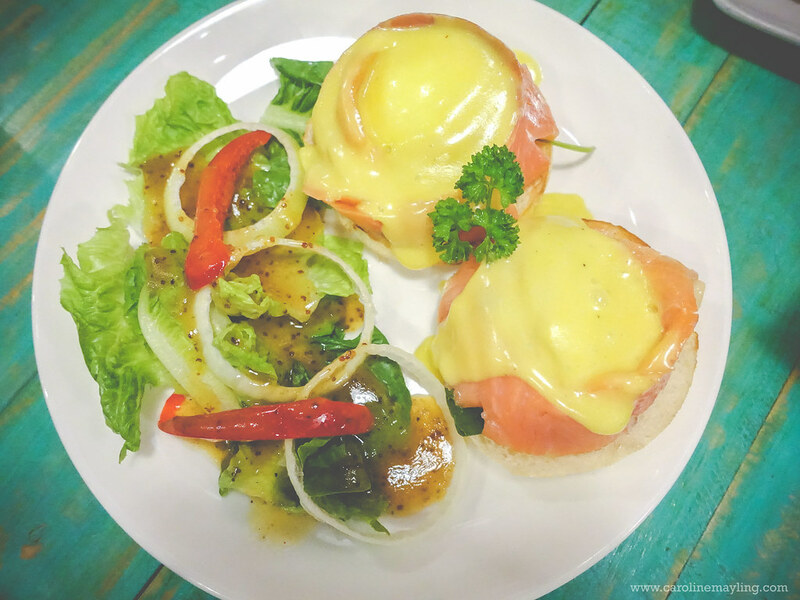 If you're a fan of egg benedict, do try out their Royale Salmon Egg Benedict (RM28.50)! 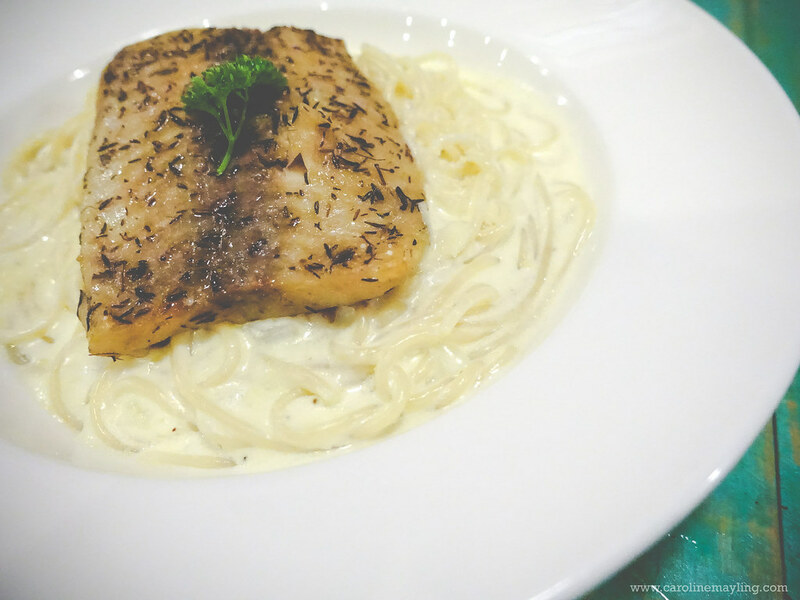 For those who fancy pasta, give it a try to these pasta - Bolognese Chicken Spaghetti (RM18), Carbonara with Chicken Slice (RM26.50) and Grilled Fish with creamy sauce (RM26.50). 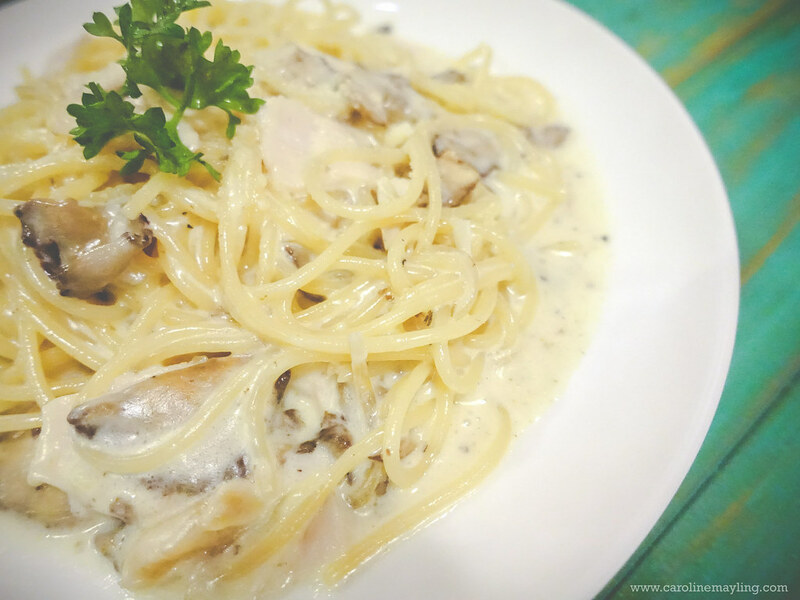 All the pasta were cooked till al dente and flavorful. Guess who else got the most attention other than the birthday girls? 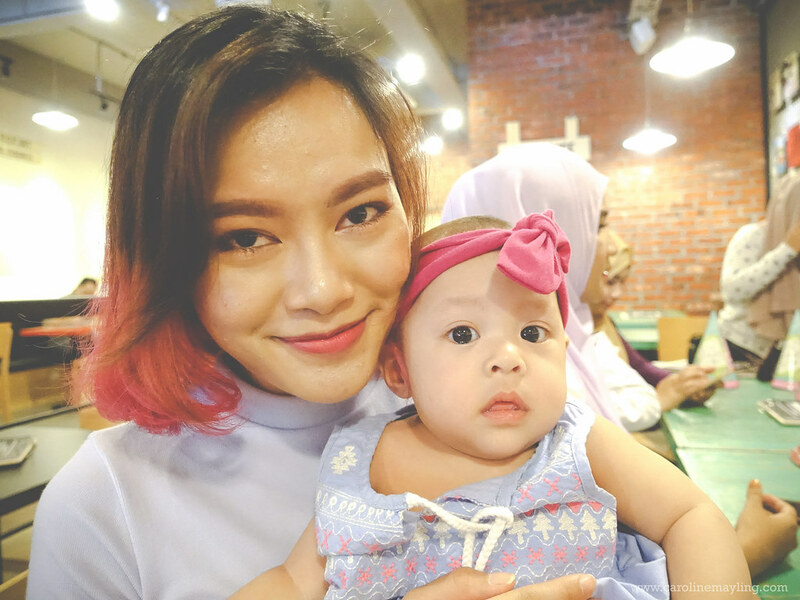 These two cutie-pies - Sofea and Marissa - got all fellow aunties loving and kisses on that day too! 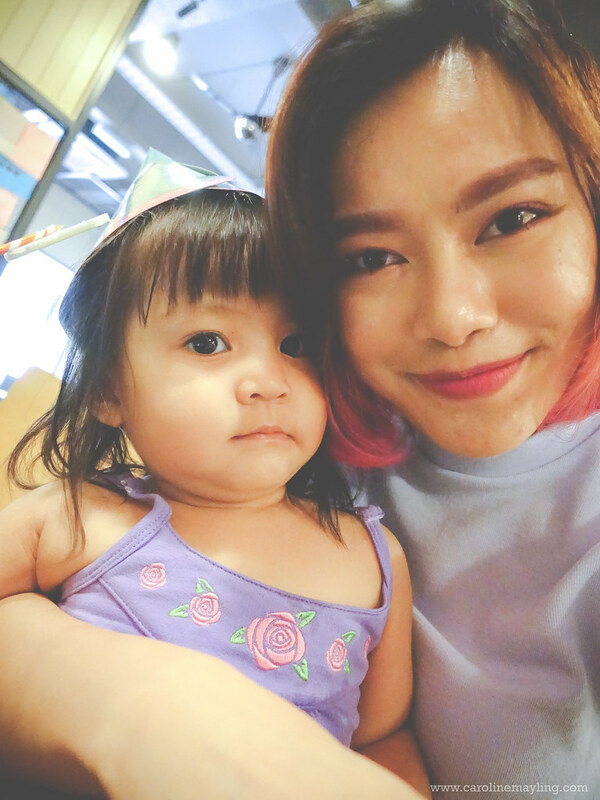 They were both being so good for not being naughty and letting both their mommies to enjoy the session! 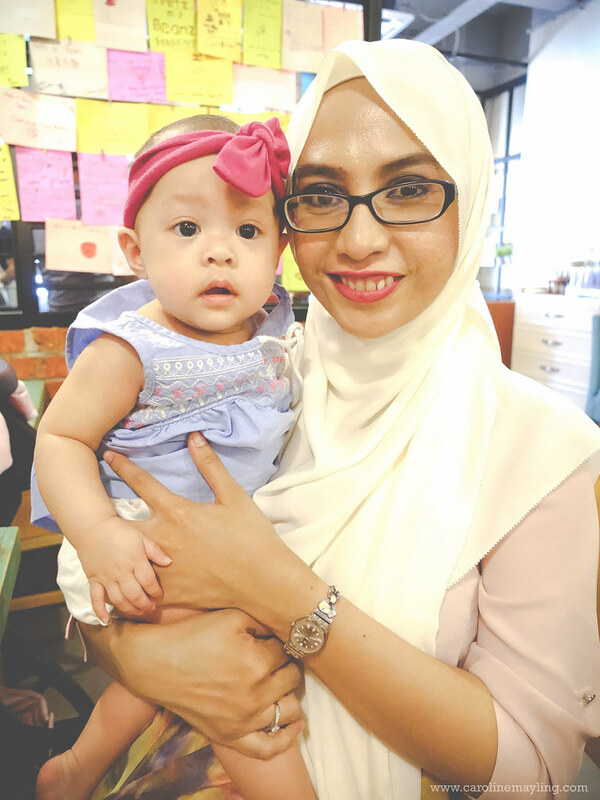 I bet Sofea enjoyed the foods too!